Consult with Wonjin beauty medical group. Would you like to prepare for coming summer? This event will be for a month, and if you pay for the reservation fee, you will be booked for this surgery. 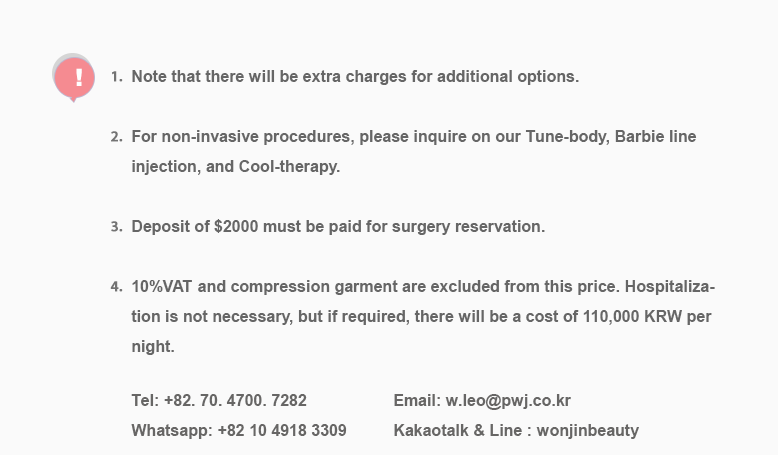 Reservation fee is vaild for 6 months from the date of payment (consult for detailed information) 🗨️ w.leo@pwj.co.kr . . .